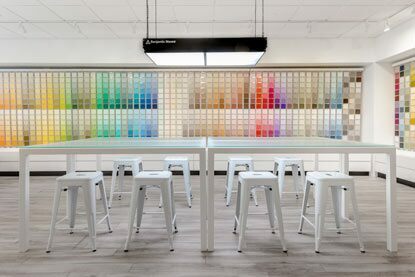 In our Colour Decision area, you’ll find two giant worktables perfect for exploring paint colour, a colour selection light box that helps view colours under ideal lighting conditions, and product sample boards that make it easy and engaging to mix and match colours. 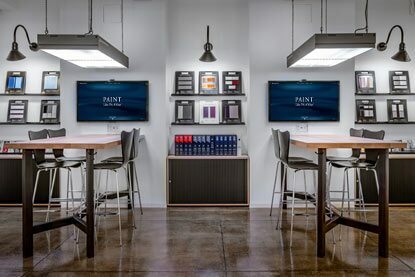 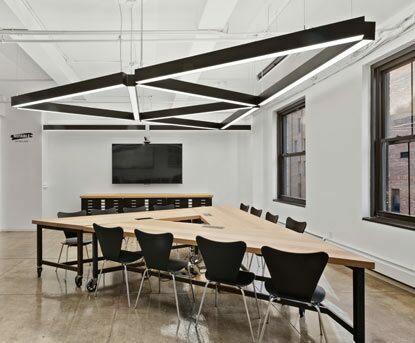 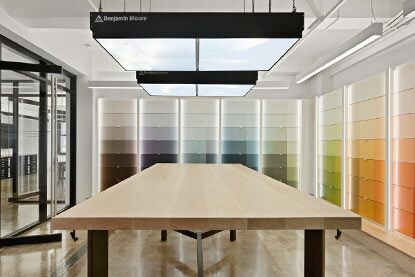 Our high-tech colour selection light box, worktable, 4000+ designer colour sheets and countless colour chips are located in a space reminiscent of a bank. 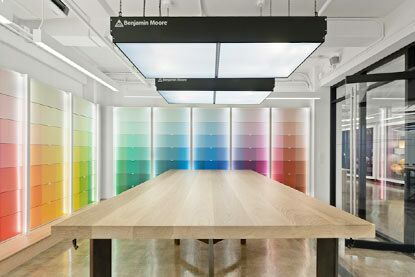 With its cutting-edge tools, The Colour Vault makes it easy to view and source a wide array of Benjamin Moore colours. 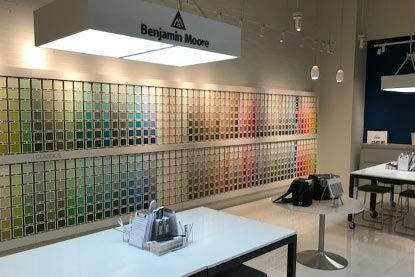 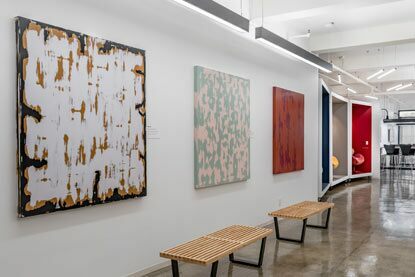 Regularly refreshed artwork and curated displays featuring Benjamin Moore product and colour, including the always-celebrated Benjamin Moore Colour Trends annual palette, fill the space. 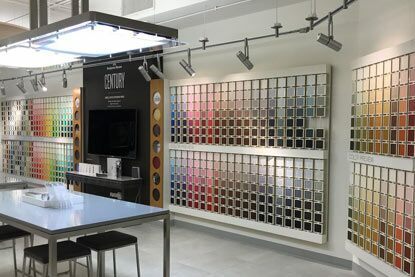 Our architect and design professionals can support your educational needs, provide product and colour support and host industry events.